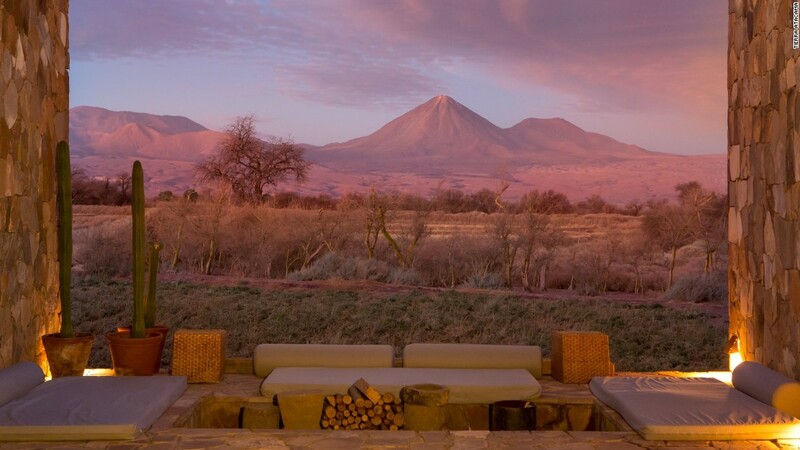 This upscale boutique lodge impresses from the outset with its sleek architecture and panoramic views over the volcano-studded Atacama Desert. But it’s not just a pretty face: Rooms are built using organic, locally sourced materials and decked out with ultra-luxe amenities like private terraces and outdoor showers. The hotel offers endless diversions, too, from three-hour hikes through Devil’s Canyon to leisurely trips to the nearby Puritama Hot Springs. Or you can simply wind down with a glass of local Carménère in the hotel’s gorgeous infinity swimming pool, which faces the majestic Licancabur Volcano.